April 4th marks National Vitamin C Day, helping to create awareness of the many vast benefits to your health of Vitamin C. This vitamin may be best known for its immune strengthening qualities, but according to recent studies, there are many other health benefits. It is now being stated that Vitamin C can help support good bacteria in our gut (similar to probiotics), that it may actually protect us from harmful effects of pollution, neutralize free radicals in our cells and more. 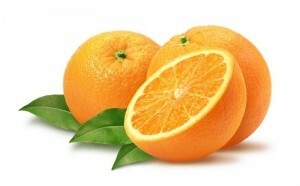 What is the best source for obtaining Vitamin C? Fresh fruits and vegetables, eaten raw, are the best source of this valuable vitamin, but unfortunately most American children and adults simply are not getting enough. The National Institute of Health has put together a website listing additional benefits of Vitamin C along with charts to help you determine how much you may need, appropriate ways to supplement and even warning about taking too much. Here at Gallen, we don’t just sell you insurance, we are concerned for you as part of our family and want to ensure you have valuable tools, such as this information on Vitamin C to maintain or achieve optimum health.